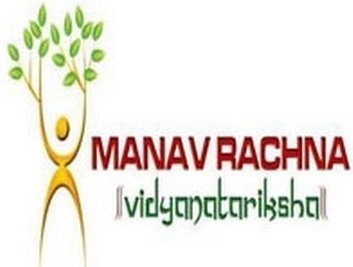 Manav Rachna University is a State Private University (established by Haryana State Legislature Act No 26 of 2014 & under section 2(f) of UGC Act 1956). The University has evolved from Manav Rachna College of Engineering (MRCE, established in 2004), a NAAC Accredited ‘A’ Grade Institution ranked 10th among all the private engineering institutes of the country and 29th among all engineering institutes across the country including IITs and NITs by The Times Engineering Survey (May 27th, 2016). The accreditations of MRCE are testimonial to the trust of accrediting bodies in the quality of education being offered, a well-established teaching and learning process guided by the global best practices, a culture of academic excellence promoting research, innovation &entrepreneurship. NAAC (‘A’ Grade) is testimonial to the institutional strengths in the area of teaching & learning process, R&D, infrastructure, student quality and progressive path to excellence. It provides parents, students and potential recruiters reliable information on quality of education being offered by the Institute and acts as key differentiators of the Institute’s standard of excellence. With MRCE transforming into MRU, all the best practices get strengthened along with academics freedom to follow globally recognized and industrially relevant technologies.